Startup launchpad DEMO Africa has announced the top 30 finalists that will pitch at its seventh annual conference in Casablanca, Morocco this October. 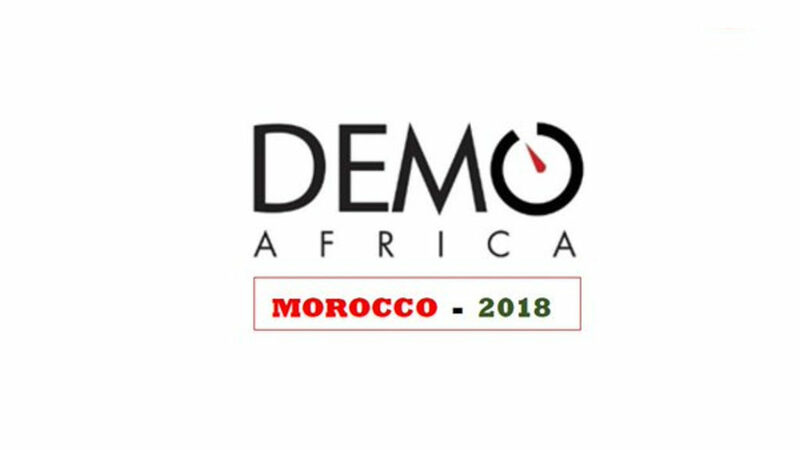 The announcement follows an innovation tour earlier this year that saw the DEMO Africa team hold pitch events across the continent to select startups to showcase at the Morocco conference. Before pitching at the Demo Africa 2018 showcase, which is set to take place on 18 and 19 October, the 30 will participate in virtual and physical bootcamps designed to prepare the startups for stakeholder engagements. Accounteer (Nigeria): Accounteer is a cloud based accounting platform that allows small businesses to create invoices, track expenses and receive online payments. ADN Corp (Senegal): ADN builds applications that help African companies improve their sales, marketing, and finance operations with decision support analytics systems. Atlan Space (Morocco): Atlan Space is an artificial intelligence (AI) based drone technology that tracks illegal fishing in African waters. Brayfoil Technologies (South Africa): Brayfoil is a patented wing design that is a first in aerodynamic engineering. The technology allows planes to take off in a shorter distance, fly further and faster on less fuel and improves safety by a massive margin. Casky (Morocco): Casky claims to be the world’s first blockchain-based, AI platform that rewards users for driving safely. Chefaa Medicine Delivery (Egypt): This mobile medical application that allows users to seamlessly order, refill and receive prescriptions. CLoud9XP (Kenya): An online marketplace and booking service for leisure experiences. Complete Farmer (Ghana): This agritech solution enables farmers to enhance productivity, increase profitability and amplify competitive advantages across the agricultural value chain. Dabchy (Tunisia): Dabchy is a fashion e-commerce marketplace for the Arab world. Devless (Ghana): Devless is a simplified data repository for development operation environments. Hawkar (Tunisia): Mobility startup Hawkar has developed a smart electric car for physically handicapped persons. Zuoix (Cameroon): This offensive information security information company has developed Zuoix Object Oriented Motor Electronic Device (ZOOMED), an SMS based car security system that does not require internet connectivity to locate, immobilise and geofence cars. Kourtim (Morocco): Kourtim is a logistics management system that provides real-time monitoring for road freight transport. Lula (South Africa): A mobility-as-a-Service platform that connects stakeholders across cities, municipalities and countries. Maurice Communications (Ivory Coast): This wearable technology company provides health-tech solutions targeted at emergency response, data collection and information dissemination for medical and emergency personnel. Moldiag (Morocco): MolDiag produces affordable diagnostic kits to detect diseases and viral infections. Niotek (Egypt): This AI platform enables implementation of smart factories, smart products and smart services. Qualitrace (Ghana): QualiTrace is a traceability and anti-counterfeiting company that uses track and trace technology to authenticate product farm inputs and outputs. Redbird (Ghana): Redbird provides pharmacies and chemists with on-site rapid test technology used in diagnosing chronic and acute conditions. Regenize (South Africa): Regenize is a recycling collections company which aims to motivate South Africans to recycle through rewards and education on the benefits of recycling. Smarth (Algeria): Smarth provides innovative analytical and predictive solutions for any problem involving massive amounts of data. Sote (Kenya): Sote is an AI-powered logistics platform that streamlines collaboration between logistics services. Tempest Gold (Botswana): The Tempest Gold app allows users to search for properties, connect directly with the buyers and sellers, and by doing so eliminates the middle man. Termii (Nigeria): Termii is an online platform that helps teams secure repeat customers through personalised emails and SMSs sent across multiple channels. Toufoula (Tunisia): Toufoula Kids is a multi-language Ludo-educational platform offered in Arabic, French and English for young children. The mobile app is linked to a smart-printed magazine by Augmented Reality with the aim of reducing children’s addiction to screens. Travelbudds (France): Travelbudds is a social network for young, mobile, connected, travellers looking for authentic ways to discover the world and share their experiences. VertoFX (London): Verto is a decentralised, business-to-business currency liquidity provider and price discovery marketplace. Voxera (Egypt): VoxEra has developed a device that provides travellers with a mobile-roaming service that is similar to telecoms but at much lower prices. WeflyAgri (Ivory Coast): A drone based agritech solution that helps farmers to remotely monitor their farms and identify inefficiencies in production to help them manage their land better. Zipora (Kenya): Zipora is a smart luggage innovation with a patent-pending zipper that is breach-proof, and a security device. The smart device comes with a GPS tracker, a tensioner and vibration sensor to monitor luggage handling and breach attempts.